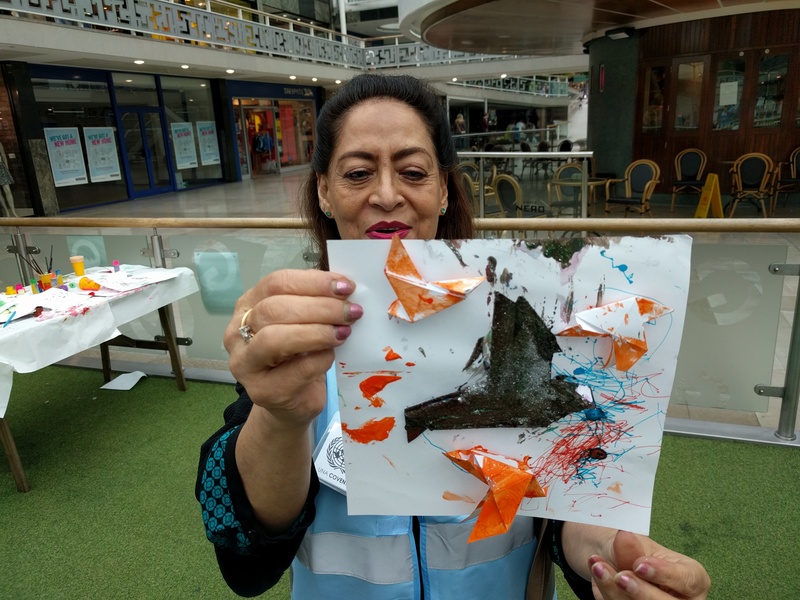 On Saturday 17 September, many children and adults enjoyed making origami peace doves in Coventry Lower Precinct during the run-up to International Peace Day on 21st September. 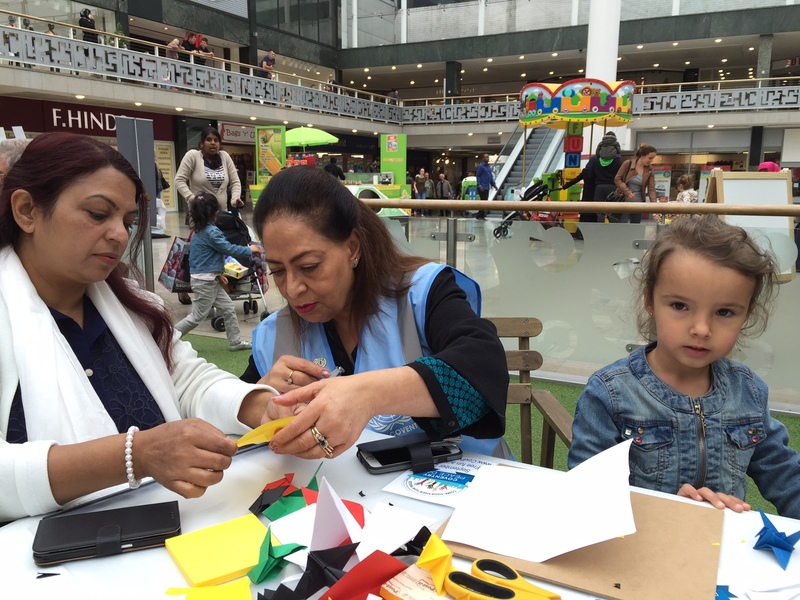 People can make and decorate their own doves in the Lower Precinct from 1pm to 4pm on Wednesday 21st. They can also make a Pepakura 3D peace dove by visiting the FabLab at the 27 City Arcade, Coventry between 11am and 7pm. United Nations Secretary-General Ban Ki-moon stressed that each of the new global Sustainable Development Goals adopted a year ago by 193 countries are the “building blocks” for peace. Mr. Ban said that every year on 21st September, the United Nations calls on warring parties around the world to observe a 24-hour ceasefire. “You know best of all that peace is not an accident. Peace is not a gift. Peace is something we must all work for, every day, in every country,” he said. While welcoming ceasefires – like the Cessation of Hostilities in Syria – the UN chief stressed that peace is about far more than putting weapons aside and that it involves the hard work of mediation, conflict resolution through diplomacy, reconciliation, peacebuilding and sustaining peace. He said that he looks forward to visiting Cartagena, Colombia on 26 September for the signing of the historic peace agreement which ends the 50-year war between the Government and the Revolutionary Armed Forces of Colombia-People’s Army. The United Nations Association – UK (UNA-UK) is the UK’s leading source of independent analysis on the United Nations as well as a UK-wide grassroots movement. UNA-UK believes that a strong, credible and effective UN is essential if we are to build a safer, fairer and more sustainable world. It advocates strong government support for the UN and demonstrates why the UN matters to people everywhere. 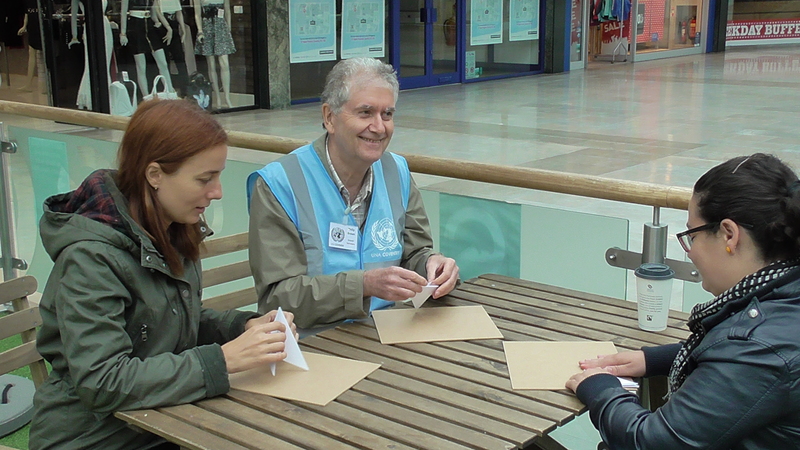 The UNA Coventry Branch runs events throughout the year where experts discuss international issues with the public, such as Women in ISIS, International Law, the Future of Democracy.